Brendon O’Reilly, Managing Director of FASHION HOUSE Group, gave the opening presentation during the ICSC Russian Idea Exchange conference held on February 28, in Moscow. This year’s edition of the event encompassed a range of topics related to the process of entering the Russian outlet market. In his presentation entitled Outlet Centres: All you always wanted to know but were afraid to ask Brendon O’Reilly strived to explain the specificity of the outlet sector. – Many people assume shopping centres and outlet centres are the same in terms of concept and operations, which is a common misunderstanding – Brendon O’Reilly said. 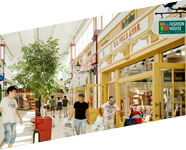 – Retailers and operators need to understand that the whole customer process, leasing process, marketing approach, the tenants and the management are completely different. That is why only the right combination of knowledge and experience in this industry can guarantee success to new entrants. – Brendon O’Reilly added. 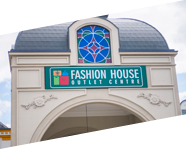 FASHION HOUSE Group, leading outlet developer and operator in the CEE and Russia, has vast experience in opening up new markets for the outlet sector. 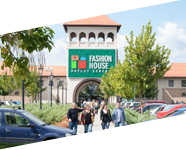 With four FASHION HOUSE Outlet Centres trading in Poland and Russia, FASHION HOUSE Group is now expanding into the Russian market with several projects in the pipeline. 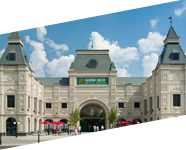 The first FASHION HOUSE Outlet Centre in Moscow is due to open in May 2013 and another one in St Petersburg – in 2014.
a great opportunity to exchange information.